Arsenal are thought to be interested in one of England’s hottest talents as he continues to light up Germany with his performances. The Daily Mirror are claiming that the Gunners are just one of a number of clubs keen on bringing Jadon Sancho back to the Premier League. Unai Emery’s side could have to battle the likes of Manchester United, Chelsea, Liverpool and arch-rivals Tottenham Hotspur for the former Manchester City youngster. 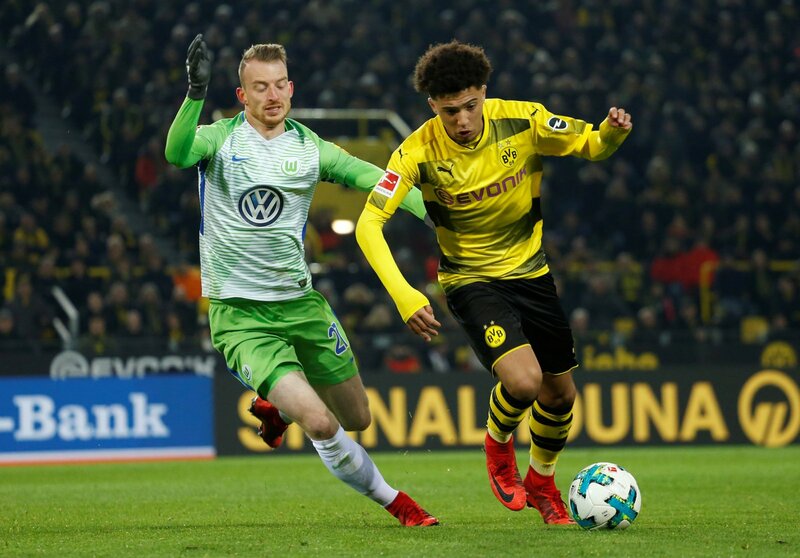 The 18-year-old has been outstanding for Borussia Dortmund in the Bundesliga and has seen his stock increase with each performance he puts in. The German outfit are thought to be commanding a fee in the region of £100million to sell Sancho as they are aware of the interest in their superstar. Arsenal are thought to have been keen on him for a while and tried to lure him to the Emirates Stadium before he left Man City, however, he chose Dortmund as the way to further his career. There is no doubt that Sancho is one of England’s most exciting prospects at the moment and has been rewarded with a call-up to the national side for this month’s Nations League fixtures. In today’s market, £100m does not seem to be an unrealistic figure that clubs would be willing to splash out in the future for someone of his quality. He would certainly give Emery’s side an added dimension to their attack and would give them extra options going forward. However, it remains to be seen if Arsenal will be able to add him to their side, or if he decides to go elsewhere should he choose to leave the Bundesliga outfit.